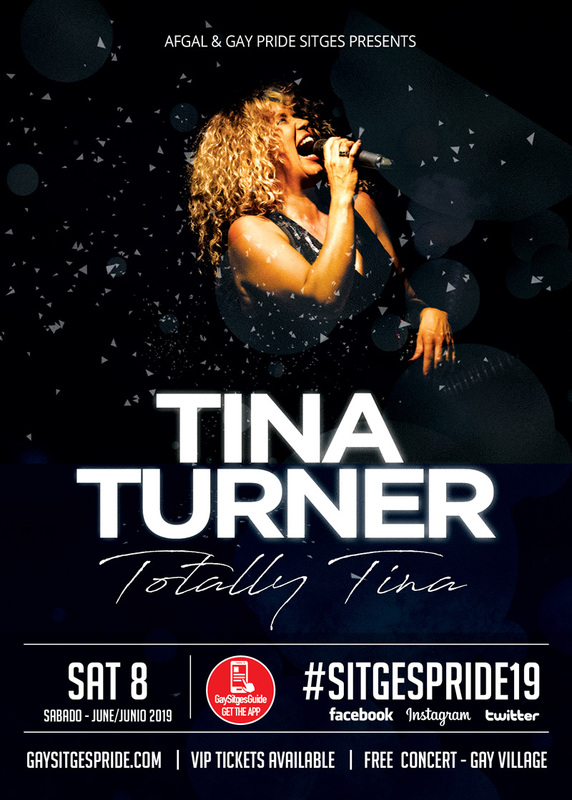 A brand new Tina Turner Tribute to celebrate the 10th edition of Sitges Pride! The 10 piece Totally Tina Act will leave you breathless! Totall Tina will be live on Stage on Sat June 8th. 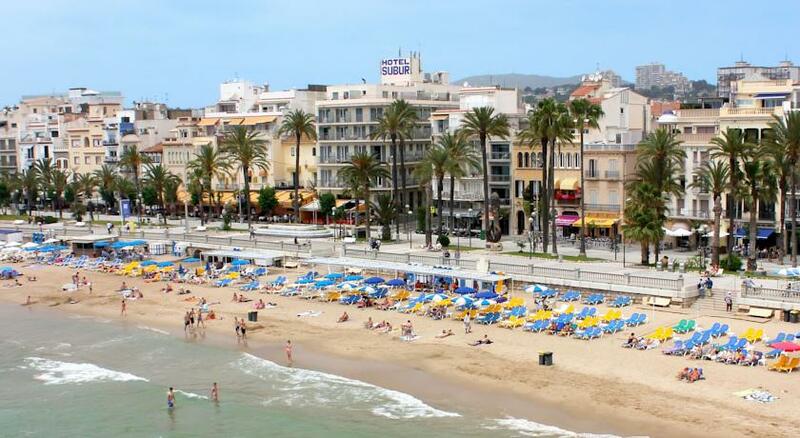 All shows take place in the Gay Village, right on the seafront of Sitges main paseo. Entrance to the village is free, however you can get VIP entrance. VIP packages include access to the VIP zone right in front of the stage, a dance area in front of the main stage, a VIP bar, access to the stars and VIP photocall as well as one amazing atmosphere during the 5 days of the Village shows. Get your VIP pass now – space is limited. All the shows in the Village are Free. 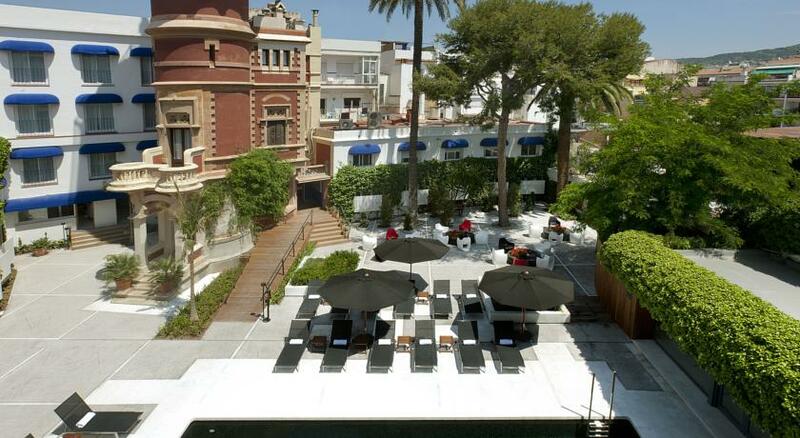 Upgrade to VIP for a unique experience. The Lifetime Achievement awards was presented to Totally TINA as the tribute act who has made an outstanding contribution to the entertainment industry over a sustained period of time. A first Class act in their own right, showing a huge amount of dedication and hard work in emulating their chosen performer as closely as possible. While many tribute acts are content with just slightly resembling the original Totally TINA has spent years honing their look, sound and Choreography, dazzling Audiences nationally and internationally. Passion and commitment are obvious and Totally TINA have built up a fan base of their own and growing support over the years. Ultimately we presented the award to Totally TINA for standing out from the crowd with their musical skill, stage presence and performing ability. Get a VIP Pass for all the village shows! 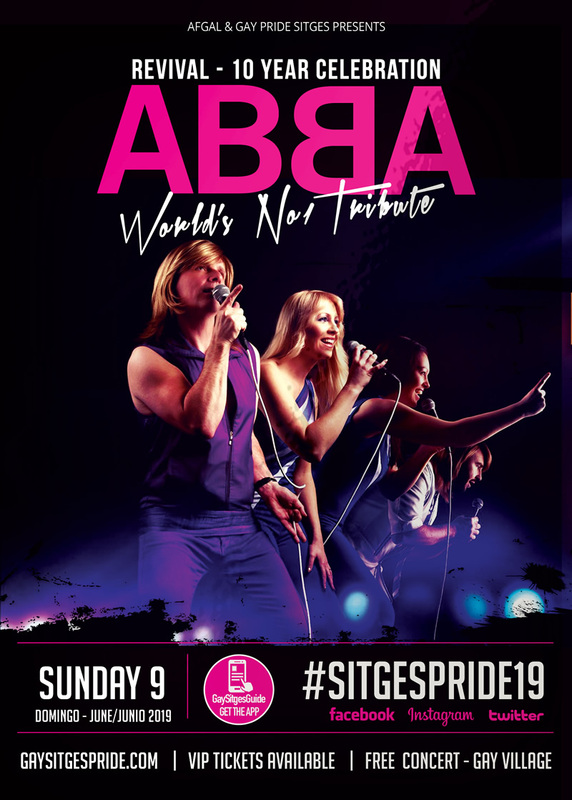 It would not be Sitges Pride without a tribute to ABBA, the Village's Favourite Show! This year a new band, ABBA REVIVAL will recreate the magic on stage! 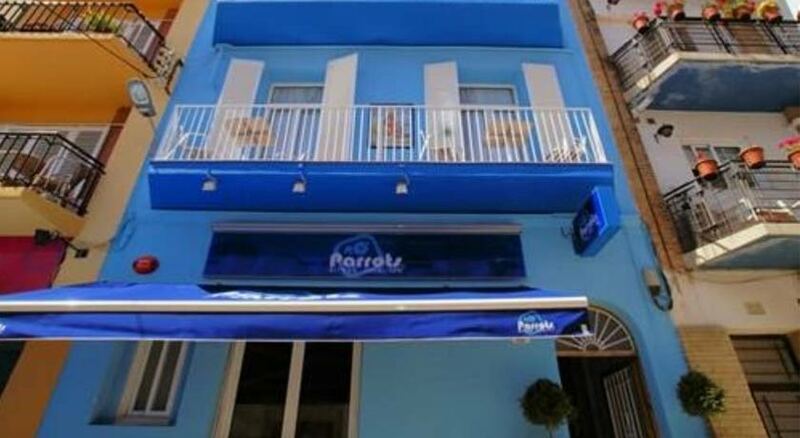 The Post Parade Party on Sunday in the Gay Village is the biggest party to take place in Sitges each year! 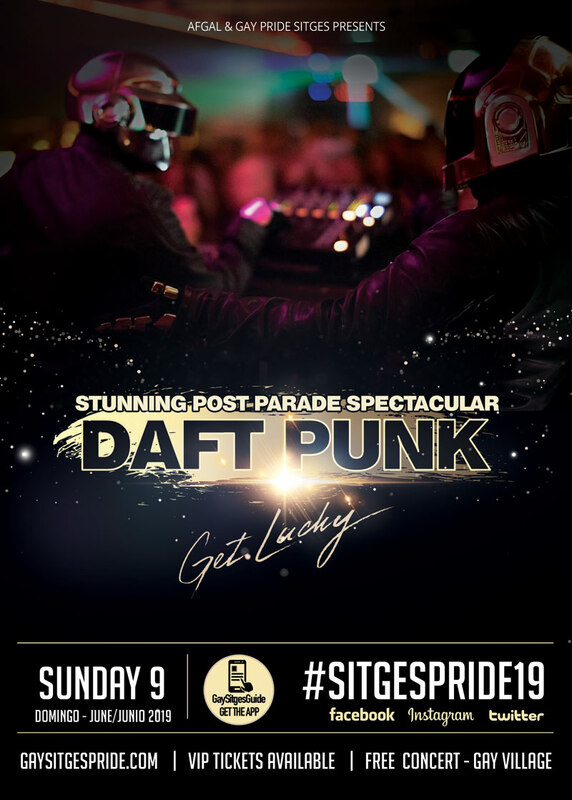 Daft Punk will rock the Village with you. Kelly O'Brien reprises her role as Dolly Party, one of our most popular tribute shows of the past 10 years of Sitges Pride. 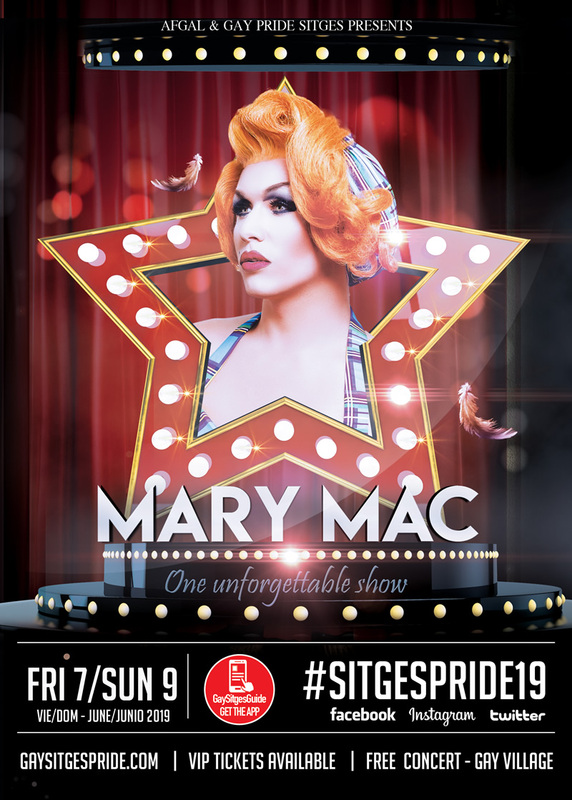 Mary Mac returns for not one, but two special shows, both unique, as part of Sitges Pride 10th celebrations. Unmissable! 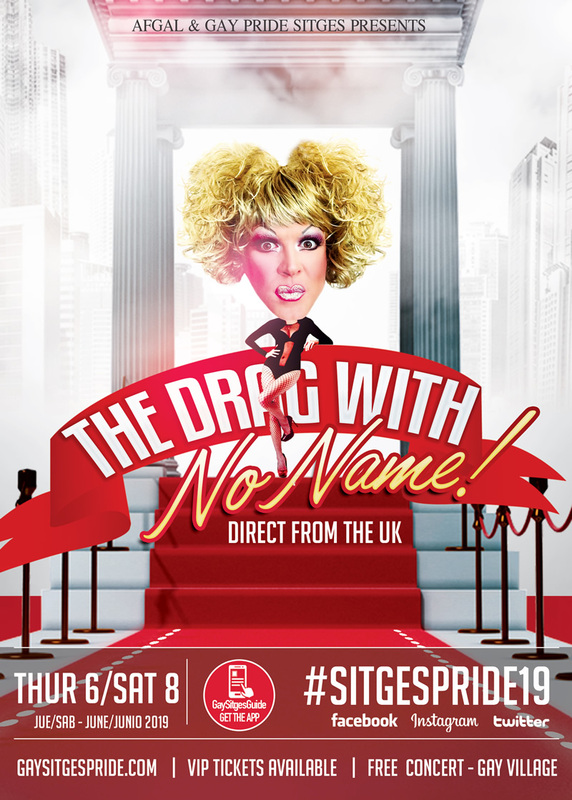 Drag with No Name was one of the highlights of last year's Sitges Pride celebrations and returns with two different shows in 2019! 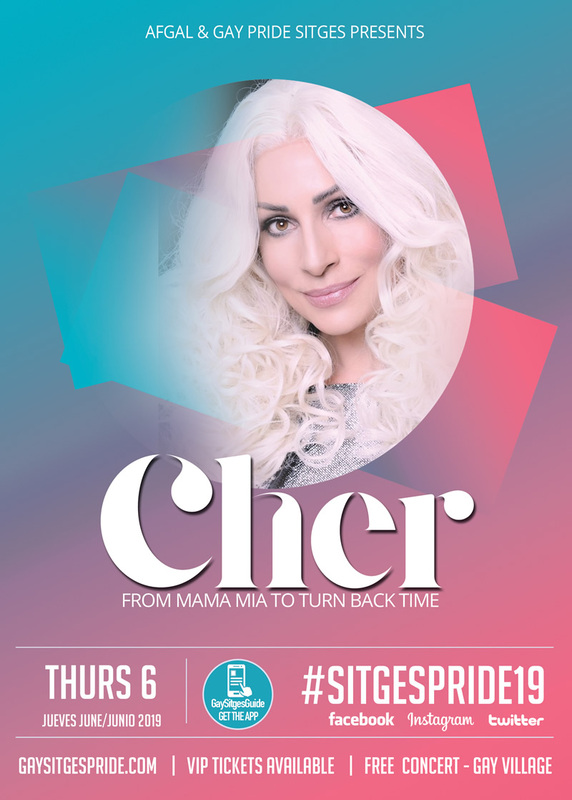 Sitges Pride 10th edition welcomes back CHER for a unique show, combining the very best of her Mama Mia songs with her classic tracks! 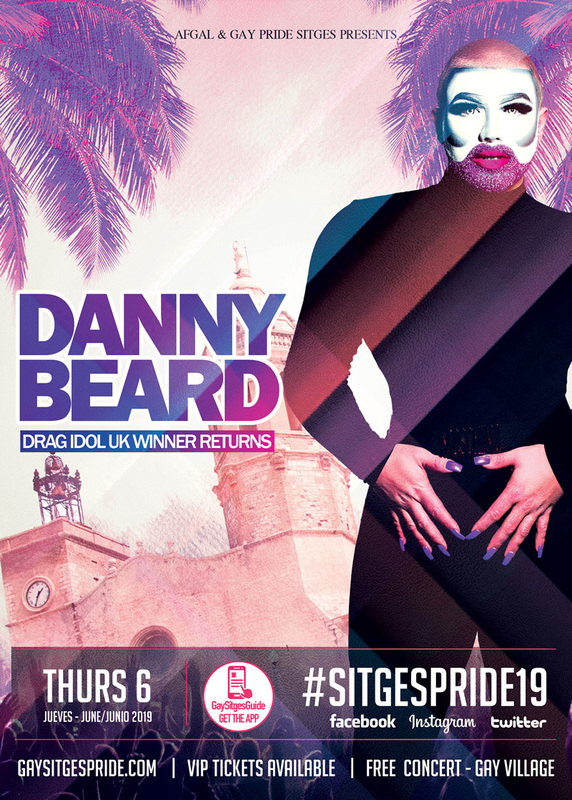 Danny Beard will wow you with his unique look, amazing voice and large than life stage presence at Sitges Pride 2019. 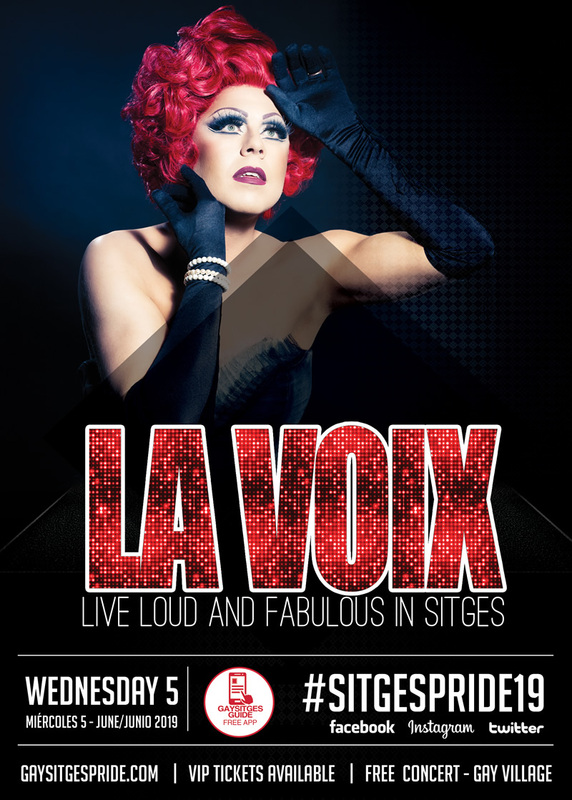 La Voix returns to the Sitges Pride Main Stage for an opening night show at the end of the DRAGNATION, Drag Marathon!